If you’re planning on selling your home soon, and you want to sell your home fast in Oklahoma, then you’ve got a short window of time to address all the necessary repairs and renovations to your home. It’s important to check a lot of these items off your list because any improvements you make now don’t necessarily make the value of your home appreciate but they will cost far less than the hit you take on a price reduction after your home hits the market. Repairs and updates are a necessary part of selling your home through a traditional listing (unless you know a local home buyer). Mainly because there’s a good chance a savvy buyer will want something fixed, or they’ll ask for concessions (repair credits) for things you chose not to fix. Worst case scenario – the buyer backs out because they don’t want to deal with the hassle of hiring contractors and making the repairs. It’s not unreasonable; when people think about buying a house, they typically want something they can move into and settle down. The thought of buying a house only to throw money and time at repairs before they can move in is less than desirable. 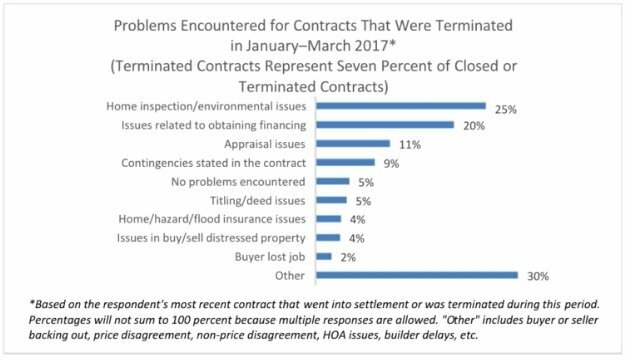 In fact, repairs and updates not taking place is one of the top reasons for buyers terminating contracts. According to the National Association of Realtors, 23% of property sales fell through due to home inspections and environmental issues. By the chart above, another 14% backed out due to appraisal issues which in some cases likely had to do with necessary repairs and updates that reduced the value of the home. When selling a property, you have to consider that repair credits, or accepting a lower offer on the home, may not work with some buyers. For example, a first-time buyer with an FHA loan is likely putting in the minimum down payment necessary to get financing. That means they probably have very little disposable income to handle repairs. They want a home that’s ready for them to move-in with no surprises and no extra expenses. To avoid shrinking your pool of potential buyers you’ll need to be conscious of the repairs and updates that will put your home in the best shape before it’s listed. According to the U.S. Fire Administration, in 2014, electrical fires accounted for 6.3 percent of all residential fires – which is roughly 24,000 home fires. Even the simplest of electrical faults can lead to a fire hazard, so it’s important to make the necessary updates based on a professional inspection of your home’s wiring. Especially since electrical fires can start due to a variety of sources in the home. If you haven’t had any noticeable electric issues that doesn’t mean you’re in the clear. A home can be asymptomatic but still have electrical issues that run the gamut from incredibly simple to an entire circuit that needs to rewiring. The chances are good that your home won’t need to be rewired and any repairs are going to be minor, like update to junction boxes, capping wires, or replacing a length of frayed wire. The last thing you want is to have to reduce the cost of your home by $2,000 due to a circuit breaker that needs replacing when it might only cost you $500 to have the repair done on your own. While your property might look somewhat flat, it’s far from it. In fact, virtually every lot is graded to some degree for drainage. Drainage refers to the properties ability to carry water away from the home so that can reach storm drains or drain into the ground without generating flooding. There are a lot of things that can impact drainage on your property including obstructions on the property, clogged or damaged rain gutters, poor water direction away from the house, etc. Drainage issues can have serious and costly implications from spongy and unattractive soil with a yard that floods in certain areas, flooded parking and walking areas leading to water damaged concrete, and even water damage in the basement and to the foundation of your home. While Oklahoma may not see the kind of winter weather northern states see that can wreak havoc on a roof, you’re not in the clear from roof damage. The Oklahoma City area sees it’s share of inclement weather and strong storms that can dramatically shorten the lifespan of a roof. Storms can damage shingles and flashing around vents and water damage from weather as well as clogged gutters can lead to wood rot in fascia boards. If taken care of quickly you may only need to do partial repairs and maintenance on your roof which could cost as little as a few hundred dollars for materials and the labor of a qualified roofer. If you need more substantial repairs like a complete roof replacement you could be looking at a cost of anywhere from $5,000 to $10,000 with some high end roof replacements costing as much as $30,000 according to Home Advisor. If your home has problems with the foundation, then the chances are good you’ve already seen the issues. They tend to be visible: cracks in foundation walls, water stains and obvious water damage, sagging floors, cracks in drywall, gaps in cabinets, doors with inconsistent gaps or doors that no longer close as frames settle. Drainage issues are one of the leading causes of foundation issues and if it’s not addressed a minor issue can become a major and costly renovation before you can sell your home. Even the most basic repairs of foundation cracks can run upwards of $1500 or more. More significant damage to the foundation can require repairs in the tens of thousands including structural repairs as well as repairing cosmetic issues on the interior and exterior of your home. The cosmetic updates you can expect to make to your home are often necessary but the return on your investment isn’t something you’ll see in the sale price of your home. While these updates are all minor the cost can add up as the list grows, but they all impact your ability to sell your home. This goes back to working with buyers who have an FHA loan since HUD has a much higher standard of appraisal over other conventional loans. It’s worth it to make the investment in these cosmetic updates because giving your home a facelift can help attract more buyers who view the images online. And while those updates won’t necessarily bump up the sale price of the home, attracting the right bidder increases your odds of selling. Water damage is a property killer and the worst part is that it can happen for months, even years, without showing clear signs that it’s happening. While leaking water from a storm is obvious, a leak within your walls, behind appliances, or in the floor might be less obvious. The leak doesn’t have to be significant enough to be visible. Even a small water leak, like dripping plumbing or poor seals that lead to dampness, can lead to a much larger issue like dry rot and mold. The longer it goes on the costlier the repair. Not only do you have the clean up and renovation of the mold and water damage you also need to address the pipes and plumbing that were the source of the leak. A thorough inspection, including checking the drains of the home out to the end of the property line, can help you discover and address any issues that could impact the sale of your home. The HVAC (heating, ventilation, and air conditioning) are important to a home. It’s not just about keeping the interior comfortable. The HVAC system of your home also helps cycle and filter air in the home. Ventilation aside, a buyer will want to make sure that a home will be warm when it needs to be warm and will stay cool when it’s unbearable hot and crazy humid during our Oklahoma summers. HVAC inspections should be included when you inspect your home for necessary repairs, because they system will be inspected when it comes time for the appraisal. The sooner your find an issue, the sooner you can address it and the less you’re likely to have to spend to make the repair. Worst case, a new HVAC unit might cost upwards of $10,000 but that’s not likely. For most homes you’ll likely need some basic repairs to address things like clogged ventilation, duct issues, soffit vents, and replacing or maintaining fans. Cabinets throughout the home tend to attract the home buyer. They’ll be storing a lot of their belongings and using cabinets and countertops on a daily basis, so expect them to scrutinize the cabinets throughout your home. This is an inspection you can likely do on your own, but it never hurts to have a professional look them over top to bottom, under and around. Your cabinets should all be working order, level, free of gaps and not have any obvious signs of damage. Doors and drawers should all work flawlessly and close smoothly without any drifting or sagging. The wood should be free of stains and water damage or rot. In most cases you can address minor issues with some simple fixes rather than replacing entire cabinet sets which can cost hundreds and even thousands of dollars depending on the number of cabinets in the home. If you can, fix or replace loose hinges. Invest in new hardware like handles and drawer pulls and refinish the surface of cabinets where possible. Either sand the surfaces and restain or strip old paint before sanding and applying fresh paint to your cabinets. If you do find significant damage to cabinets then it’s likely best to consult a contractor about a repair or replacement cabinets. Replacing all the windows in your home can be a costly renovation and it’s not recommended unless your windows are hitting the end of their life – an inspection is the only way to know for certain. If your windows are in relatively good shape you could still benefit from some simple updates that will help make your home more attractive to buyers. Clean and clear the glass of your windows and strip away any old caulk. Remove the trim and check for leaks where new weather stripping and insulation can be added. Apply fresh caulk to the windows to help ensure your windows maintain a good seal and give a fresh look to your home while you’re waiting to sell. If you’re not comfortable making the minor repairs, it’s a small investment to hire a general contractor around Oklahoma City who can tackle your weather stripping and window updates. All those little (and major) repairs can quickly add up, eliminating any potential of profiting or even breaking even when you sell your house. Unfortunately, the more repairs you have to make the longer it will take to get your house reader to be listed. If you need to sell your house fast and you don’t want to deal with the hassle of all the repairs then consider selling your house as-is. If you’re selling with a traditional listing this can dramatically reduce the number of buyers as well as the sale price of your home. Alternatively, you can sell your home as-is to W Properties. 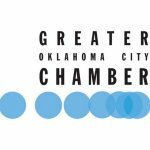 We purchase homes in and around Oklahoma City and Tulsa in any condition – that means you don’t have to worry about making updates or renovating your home in order to get a cash offer. Want more information on how to get cash for your home and sell it without making any repairs or updates? Contact us today by call/text at (405) 673-4901 or click here to see just how easy the process can be. Sell your home/land without hassles, on your terms! If you are ready to sell a home or other real estate you own, fill out the form below and we'll contact you shortly to discuss the details and present you with a no-obligation offer to buy it.